Get Your Kwikset Locks Installed in Burbank, CA! These locks are made specifically for light commercial as well as heavy duty residential property. Light commercial door locks come in a wide range of finishes, including Antique Brass, Satin Nickel, Polished Chrome, Venetian Bronze and Satin Chrome. In addition, these locks are approved and certified by the American National Standard Institute as well as Builders Hardware Manufacturers Association. They also meet the UL’s fire standards and ADA safety standards. These kinds of locks are sold under three trade names: Metal Interconnect, Kingston as well as Carson. 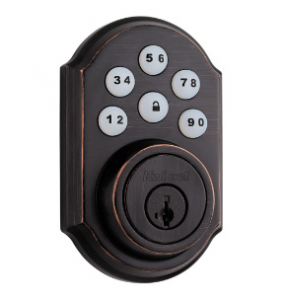 Most of the electronic locks are operated by touch screens or even electronic keypads. They also have a back-up key ways. With electronic locks, you can open such doors by entering customized access codes, but they are closed by simply touching a button. You can find these locks in five finishes such as polished brass, satin nickel, satin chrome, lifetime polished brass and polished chrome. Electronic locks are sold under 11 different brand names, including 910 Smartcode deadbolt with home connect, 913 Smartcode deadbolt, 909 Smartcode deadbolt. Kevo bluetooth electronic lock and more. They are commonly used in ordinary residential houses. Door knobs are preferred by homeowners because they can enhance the home’s interior to much their needs.They come in about 11 finishes: Rustic Bronze, Venetian Bronze, Satin Chrome, Iron Black,Lifetime Polished Brass, Antique Nickel, Polished Chrome and so on. 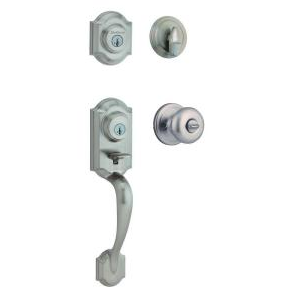 Some of the door knobs brands include Delta Combo Pack, Tustin, Dorian Combo Pack, Lido Combo Pack, Commonwealth and more. They are designed specifically to be used in the front door entries. 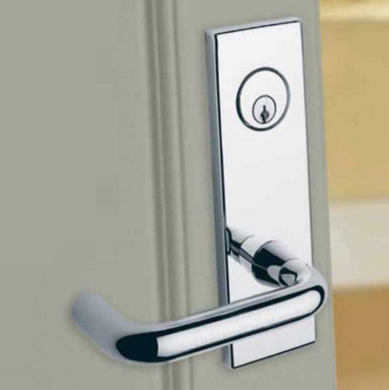 This because the come with secure deadbolts as well as classy handles. They are available in a wide range of finishes to meet the diverse needs and tastes of clients. Some of the remarkable handle sets finishes include polished brass, lifetime polished brass, satin chrome, Venetian bronze, rustic bronze, Iron black, rustic pewter, antique nickel and so on. You will find them being sold under the following names: Dakota, Wellington, Montara, Avalon, Austin, Chelsea, Amherst, Arlington, Tavaris, Shellburne, Belleview, Ashfield, and Hawthorne. Kwikset Lock Services in Burbank, California! Kwikset locks are not only the best, but also secure and easy to install. For this reason, they are the perfect choice for several homeowners. In addition, they can be personalized to suit your security standards as well as your budget. Note that Kwikset is a reputable company that offers quality products and services to ensure that your property is safe at the end of the day.